Confusion reigns this afternoon as motherboards based on AMD's upcoming B450 chipset have been listed by a small number of European etailers, complete with pricing. The motherboards, which ostensibly will replace B350 and be the optimal choice for mainstream users of the Ryzen 2000-series CPUs, were apparently due later this month. Indeed accompanying reviews, which partners and AMD themselves would typically clamour to have available at or before the time of release, are still no-where to be seen. Product listings and prices have been scraped (perhaps automatically) by German price comparison site Geizhals.de, and have popped in and out of stock all week. The sporadic nature of availability appears to indicate that the listings have been made in error or intended to be hidden, but couldn't escape the roving eye of Geizhals' etailer scraping tool. 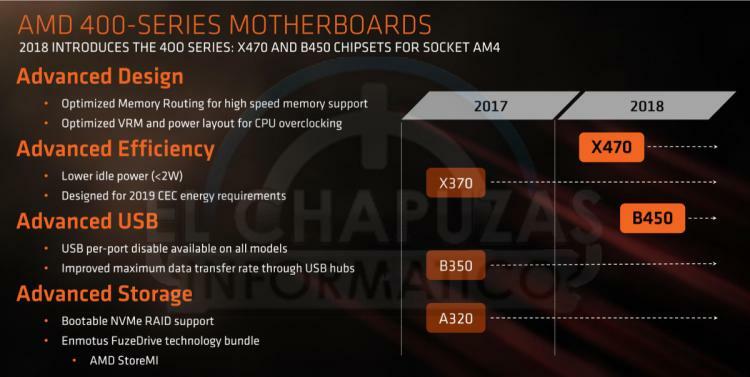 AMD's B450 chipset - the refresh of B350 for AM4 Ryzen 2000-series CPUs - was hinted at during the launch window of X470. The chief difference between X470 and B450 in terms of capabilities is support for dual-GPU configurations - X470 supports them, B450 doesn't; the same was true in regards to X370 and B350. However manufacturers have also tended to make overclocking a little easier in the X-Series boards, often through improved power infrastructure and a greater level of BIOS functionality. Furthermore some peripheral features - USB 3.0 and SATA III ports beyond a bare minimum - are optional and offloaded to 3rd-part controllers selected by motherboard manufacturers. At the very least don't expect all B450's to be created equal. B450 also brings new 400-series features to AMD's mainstream boards. These include improved power efficiency and DRAM support, but also extend to AMD StoreMI tiered storage functionality. They will in essence make the 300-series all but obsolete. The motherboards revealed by etailers today are a fairly varied bunch, at least when it comes to their retail pricing. 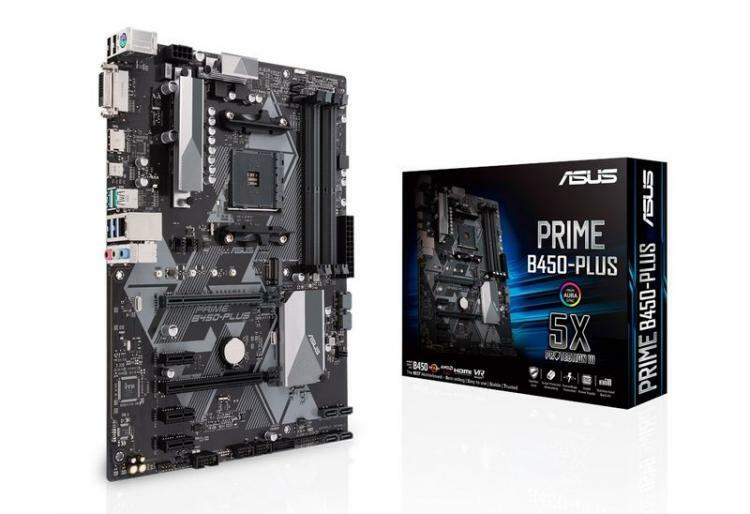 Options include the ASRock B450M-HDV starting at around €70, the ASUS B450 Prime Plus at £110, and the ASUS ROG STRIX B450-I (a mini-ITX option) sitting pretty at the £190 top-end; but even this rather scant selection is likely to be a fraction of what will eventually become available. The status of AMD's release schedule is still not publicly known, and may be changed due to this leak. In the mean-time however you can probably expect general availability later this month and reviews to be available in the not too distant future.